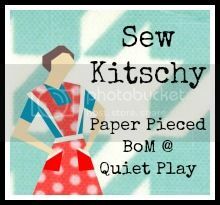 I’m a bit excited to announce the new Quiet Play Paper Pieced BoM for 2014! Sew Kitschy! 9 new patterns designed on the theme of a retro kitchen! I hope that you’ll join in the fun as we sew our way through the kitchen this year! On the first of each month (starting January 1st, 2014), I will post here on my blog about one of the patterns, and list the pattern as a freebie in my Craftsy shop. It will be free for the duration of the month – after which it’ll have to earn its keep and will be available for a small fee. Then the next one will be available as a freebie! And sew on and sew forth! We will work through the patterns going from the easiest and working up to the hardest towards the end of the year. Hopefully that will help those who are new to paper piecing to get the hang of it and gain their confidence to tackle some of the tougher blocks later down the track! 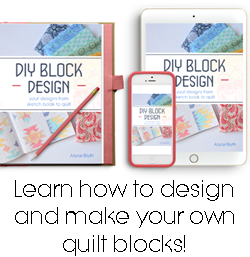 Each month there will be a linky party on my blog to share your blocks – and see what everyone else has been making! Prizes for the linky parties each month will be slightly different this time round. I won’t be lining up a bunch of sponsors like previously (sorry!) as it was a massive amount of work each month and my time is a bit limited. I will however offer linky party winners their choice of patterns from my shop as a little prize. That will take us through to September. Just like we did this year, October will be a month of rest. Or madly finishing up the blocks and making them into projects ready to share for a big Show and Tell in November! I will line up some prizes for the Show and Tell party as a bit of extra incentive to get those blocks finished! May I present… Sew Kitschy! Miss Betty in the middle there is delighted to share her kitchen with you. She’s a big fan of a red and aqua scheme, but she doesn’t mind if you decide different colours will suit you much better. So now you can start thinking about fabric choices! Now I know the big question is always… how much fabric?! This is always the toughest question as people use different amounts of fabric. I tend to use scraps where I can, or large chunks of fabric (I don’t cut mine to size). Roughly though, a fat quarter of background fabric will be sufficient for each block (with leftover scraps for more paper piecing!). You’ll likely need around a fat eighth of fabric for the features in the blocks (i.e. for the kettle, or the cookie jar). Hopefully that’s a helpful starting point at least! I hope you’re as excited about it as I am! Please let me know any questions that you might have! And please feel free to tell your friends, grab a button and pop it on your blog, or pin photos of the BoM blocks. Would love if you could help me spread the word! Betty and I are looking forward to sewing along with you next year, my friends! I'm in!! So excited about this one!! May try a retro feeling fabric in a different colour just because!! Grabbed the button and heading to Flickr! Gorgeous! Can't wait to follow along :) I might attempt one or two but I'm still getting into the basics! I am very excited. I haven't given paper piecing a try yet, so I hope I can do this. 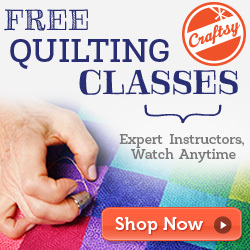 I have loved your patterns on Craftsy! LOVE all your patterns! And I'm so excited to sew along with you, I hope I can keep up:) thank you for sharing these beauties!!! Betty looks like she is going to have some fun in that kitchen! Ok, that sounded rude but it wasn't meant to!! Can't wait to start!! Great patterns Kristy, it will be a fun BOM. I love these patterns Kristy; amazing work! I can't wait to start sewing these blocks up!! I can't wait to get started! they look brilliant! Oh Betty I love your style! I have popped your good self onto my blog sidebar. I think I will watch this one from the sidelines this time, lol! But I adore your patterns, that's for sure! Oh! That's gorgeous and such fun. Realistically I'm not going to get this done next year but I'll be watching! Enjoy! the blocks look great! I hope to join in. we made some of the snowflakes over the weekend. I thought your kiddos might enjoy them since they are Star Wars themed!!! Yay!!! So excited. If anyone didn't do the And Sew On Bom and are thinking of doing this one - do it! I started out never having paper pieced and I completed every pattern. I just need to look out a colour scheme for this one, my Sew On quilt is red and aqua! Can't wait! this time I'm going to do them as they come so I can share! I've got my test one already done and I'll probably do it again! Oh what fun for next year! I am "in !" These look so pretty....they are great designs!! I love the colours and the retro style of the blocks. These look just soooooo fabulous! I'm going to try to get in on it every month. Love each and every block!!! I'm in! I've been waiting for this and I think I even have some fabric to start with . . . yay! I missed out on your last one. These are such fun blocks - loving the retro look! I had so much fun with And Sew On and am excited to join this one, too! This time, I will try and color coordinate so I'll have to examine my stash to choose just the right fabrics. I love your red and aqua color scheme. Can't wait to start this! Thanks for sharing your patterns with us!!! Love the theme, and I'm going to do my best to keep up with this one! Love them and can't wait to get started! SO excited about this. I figure if I fall behind on this, I can at least get some super cute potholders. I am up for this! Bring it on!!! I've never done a BOM before, but I do love your patterns! I'm looking forward to doing this.